 Remove ads & unlock all prime features of GO Launcher. The smartest design launcher for Android. Kiss goodbye to the hassles of ordinary launchers. Say hello to GO Launcher Prime. With the arrival of GO Launcher 5, comes a whole new look. A sharper UI and the friendliest UX you've ever had at your fingertips. Prepare yourself for simplified yet intelligent new mobile experiences. More importantly, create your own unique look and feel. After all, it is your phone. You should have it your way. 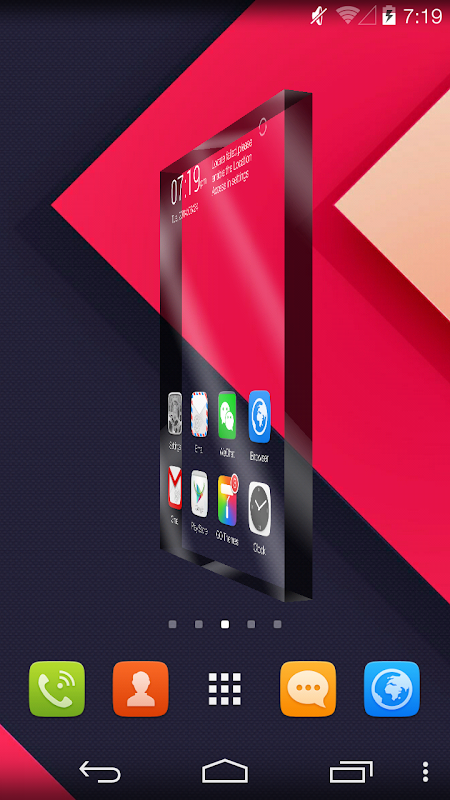 Download GO Launcher EX and be the first to enjoy over 10,000 personalized themes and fancy transition animations. Moreover, experience fast and smooth operations provided by a powerful 3D core. 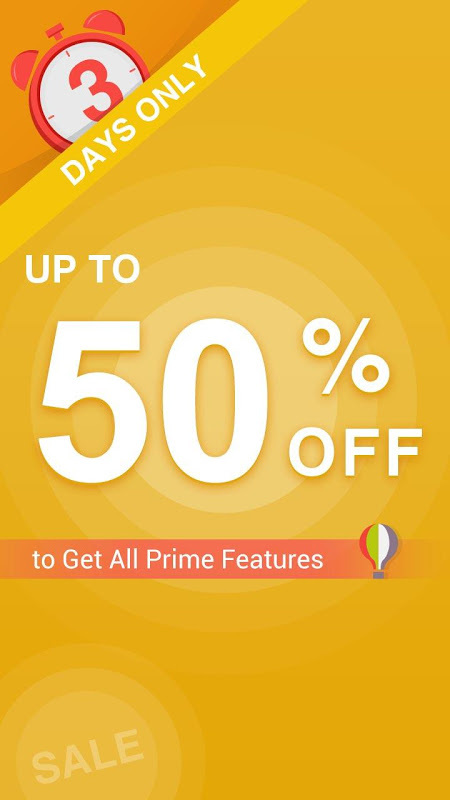 GO Launcher Prime (Trial) gives you a 1-day free trial to all Prime features. You can also purchase specific features by using Getjar Golds. Take your experience a notch higher with amazing features packed especially for GO Launcher Prime. Ad Removal: No more unnecessary interruptions. Enjoy a pure and clean user interface that is 100% ad-free. Transition animations: Enjoy over 6 beautiful transitions that are guaranteed to wow you. 3D Transition: Experience lovely transitional themes like cloth, crystal, snake, crossfades, fly-ins, curves and page turns. Security Lock: Keep your private stuff away from prying eyes. Wallpaper filters: Turn everything into a piece of art. Side dock: Swap between running tasks with ease. Gestures: Quickly access apps, contacts and settings by swiping up, rotating CCW and rotating CW. You can also get more details at: http://www.goforandroid.com/GDTEn/faq.aspx?softid=13&nav=2 Like us? Follow us. Facebook: facebook.com/golauncherx Twitter: @golauncher Have a question or suggestion? Get in touch with us at golauncher@goforandroid.com Note: Please install the free version GO Launcher EX first to use GO Launcher Prime (Trial). If you have purchased GO Launcher Prime, please do not install the trial version.  Is GO Launcher Prime (Trial) yours? Claim it!